It's that time of year - shorts, sundresses, & swim suits! 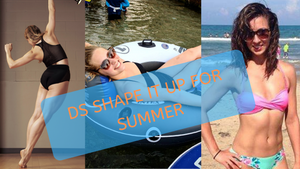 Are you "summer ready?" 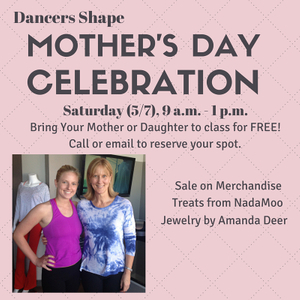 Dancers Shape has you covered. 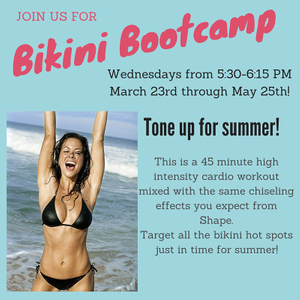 Introducing our fitness and nutrition 4 week program called "Shape It Up For Summer!" New to the neighborhood? 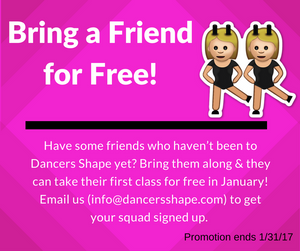 Want to to introduce a friend to your favorite fitness studio? 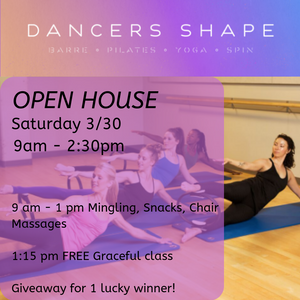 Come join us for a meet and greet, free classes, chair massages and more! 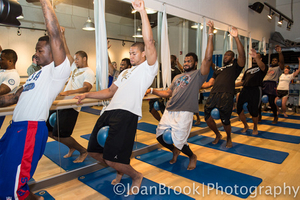 We are excited to announce we are bringing back our small group Pilates equipment series. 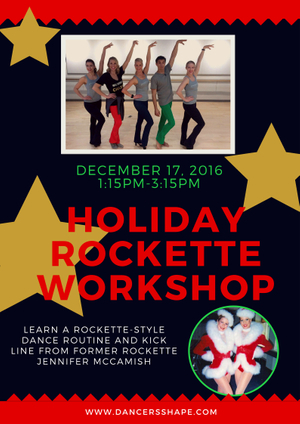 Tis the season for giving and Dancers Shape wants to give you gifts to keep you motivated between Thanksgiving and Christmas. 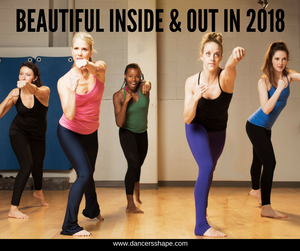 We invite you to keep both your body and spirit happy and healthy this holiday season with Dancers Shape! 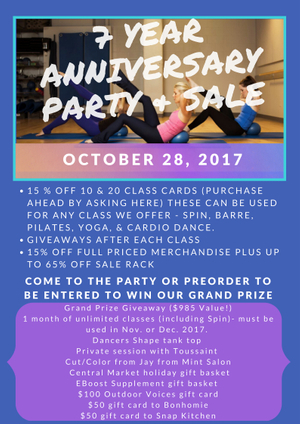 OUR BIGGEST SALE OF THE YEAR - 15% OFF ALL 10 & 20 CLASS CARDS. 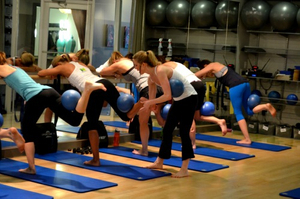 Don't forget that our class cards can be used for any class we offer: barre, pilates, yoga, spin. 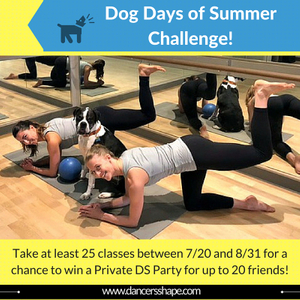 Join us for our Dog Days of Summer Challenge from July 1 through August 31! 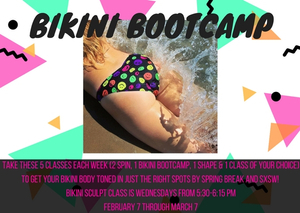 Take 32 classes in 2 months and keep track of your progress on our star boards! 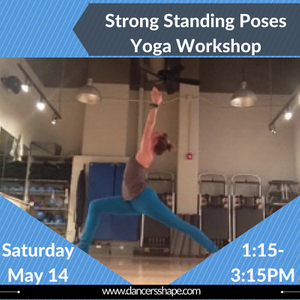 Dancers Shape will be hosting two Pre/Post Natal Workshops taught by Carissa! 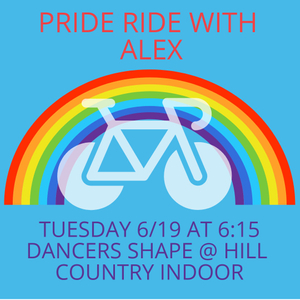 Join us Saturday May 19th for the Hill Country Indoor Open House! 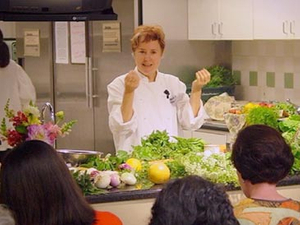 We will be hosting 4 free 45 minute classes: Email us to secure your spot! 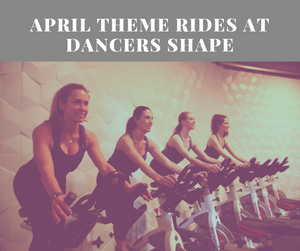 Here are the fun themes happening in our spin studios this month! Get pumped! 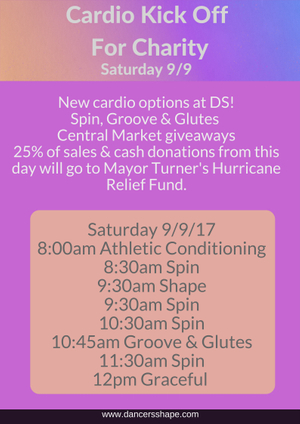 This month's theme ride schedule for both locations is below. 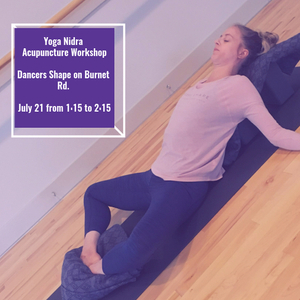 Reserve your spot for these fun classes as they fill up fast! 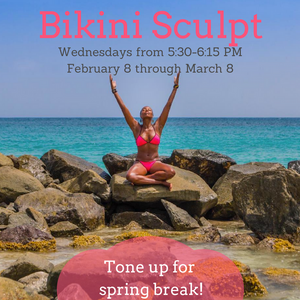 With the arrival of warmer weather, it’s the perfect time to take your workout outside with Dancers Shape’s FREE four-week fitness series, “Pilates in the Park”. 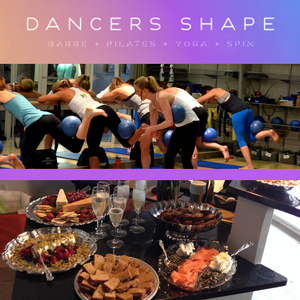 Dancers Shape at Hill Country Indoor Grand Opening Weekend! Have we told you how much we <3 you lately? We are sharing the love! 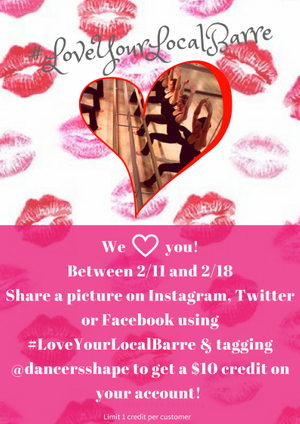 On the week of Valentine's Day (2/11-2/18), check in on social media (Facebook, Twitter or Instagram) using the hashtag #loveyourlocalbarre and tagging @dancersshape to get a $10 credit on your account! 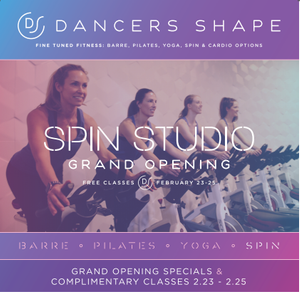 Dancers Shape at Hill Country Indoor is almost ready! 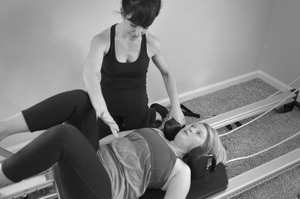 To kick things off we're offering free Pilates Equipment Previews on January 2nd and 4th. 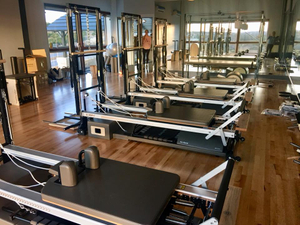 This is a great way to get introduced to the Pilates equipment and experience how the technique may enhance your fitness regimen. Happy 2018! 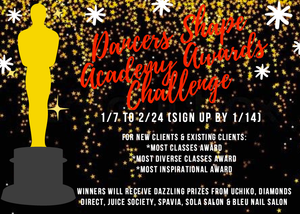 We're excited to announce a new challenge that is sure to make you feel amazing both inside and out by the end of the month. Once again we're participating in the Brown Santa toy drive! 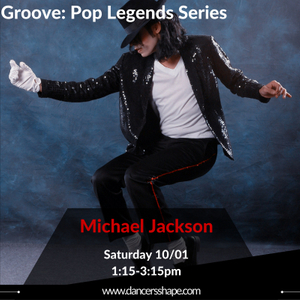 Between 12/1 and 12/20 when you bring a new unwrapped toy to our studio you'll receive a free class on us. 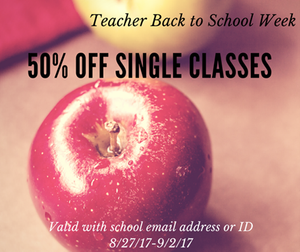 The free class must be used by 12/30. 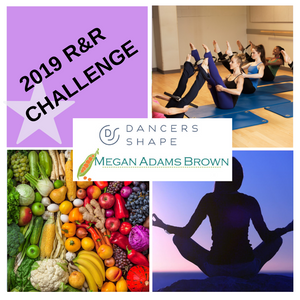 This time of year can be tough so we're challenging you to prioritize your fitness with our Holiday Motivation challenge! 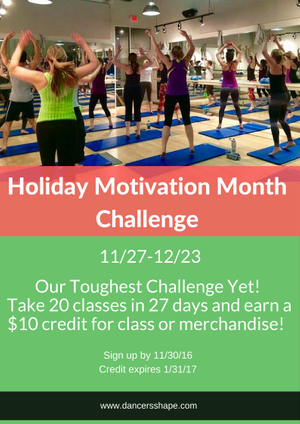 The Challenge: Take 20 classes in 28 days between 11/26 and 12/23! 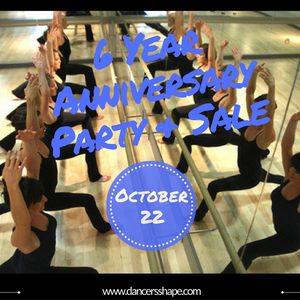 Save the Date for Our 7 Year Anniversary Party on October 28th! 2nd Dog Days of Summer Sale! 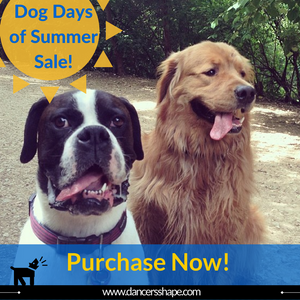 Our Dog Days of Summer Sale was so hot last summer and now that we're back up to 100 degree days- we’re bringing back our sale to get you inside and out of the heat! 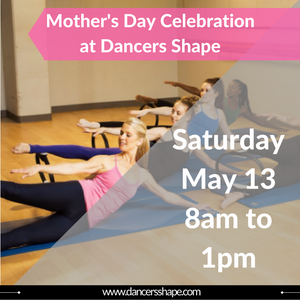 Join us this Saturday from 8am to 1pm for a Mother's Day Celebration! 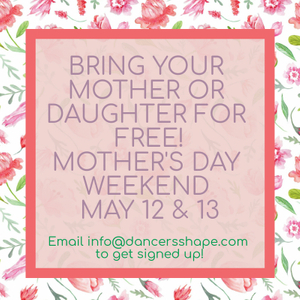 Bring your mother or daughter to class for free all day long! Email us to sign up. 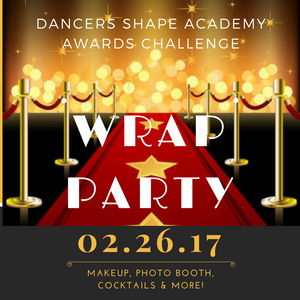 Save the Date for our DS Academy Awards Wrap Party on 2/26! Most Classes Attended- Who can take the most classes? Talk about a dedication award! 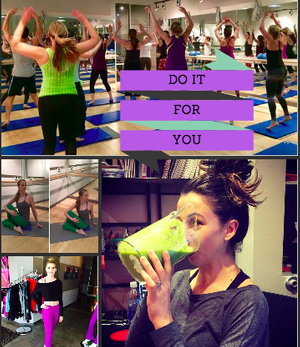 Toy Drive: Donate a Toy for a Free Class & Enjoy Goodies from Juice Society! 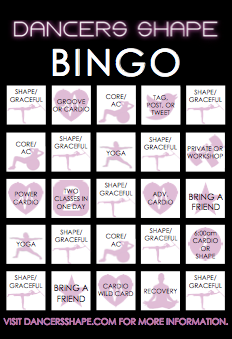 This time of year can be tough so we're challenging you to prioritize your fitness with our toughest challenge yet! 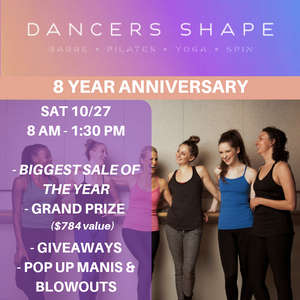 Save the date for our 6 year anniversary party on October 22nd! 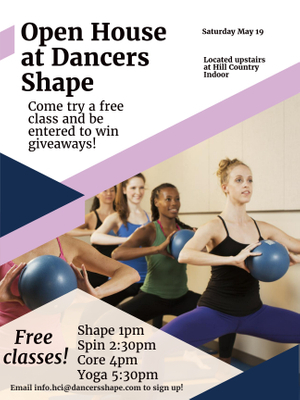 Take at least 25 classes between 7/20 and 8/31 a chance to win a Private Dancers Shape Party for up to 20 friends! 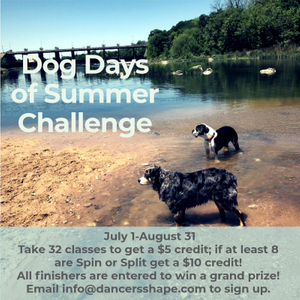 Sign up for the challenge by 7/22 by emaling us (info@dancersshape.com) or stopping by the front desk. 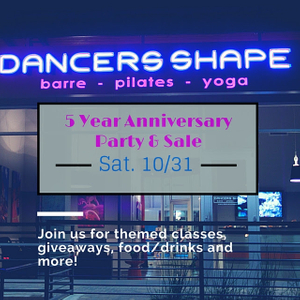 Save the date for our 5 year anniversary party on October 31st! 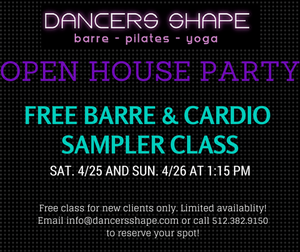 Join us on 4/25 & 4/26 for our Open House Party! 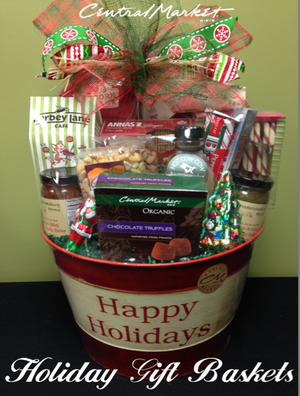 It's tough to keep up with your healthy habits during the holidays and we understand. 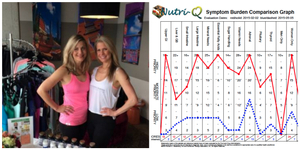 To keep you motivated we're doing a 10 day Holiday Detox Challenge from December 5-14th!